Refreshing, Soul Satisfying Energy Boosting Premium Tea! Ginseng Oolong Tea, also known as Lan Gui Ren (“Lady Orchid”), is a perfect combination of organic oolong tea with a touch of ginseng and licorice. 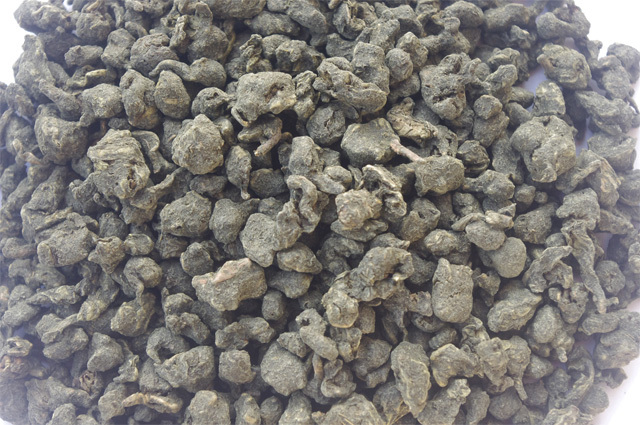 This organic Oolong tea is grown in the Southeast Chinese province Fujian. The perfect blend of the lightly oxidized green oolong and revitalizing ginseng produces a very harmonious flavor and taste. The dry leaf is brownish green in color while the brewed tea is orange in color. It is made by tightly compressing oolong tea leaves with powdered American ginseng and licorice grass into tiny tea tablets. Although ginseng on its own is full of health benefits but when combined with oolong tea, the results are even more staggering. The catechins in oolong tea prevent certain diseases and may also make your skin clearer. This tea helps with weight control, boosts energy, improves stamina, and reduces stress and even wards off diabetes. When infused, this tea produces a naturally sweet and nutty cup with the slightest licorice finish. Its rich taste and sweet aftertaste makes it a favorite tea among young people and aged alike. This is a very popular Chinese tea and sells very well! How Does It Taste: When infused, the tea is amber in color with the mesmerizing sweet ginseng aroma. The tea helps in relieving both mental and physical stress. Step 4: Serve – Serve immediately or remove leaves to prevent spoiling. Ginseng Oolong Tea and a range of other premium loose Chinese teas are available for bulk purchase at Wufeng Tea. Order today!